Climate Change Demands a New Development Paradigm, Now! 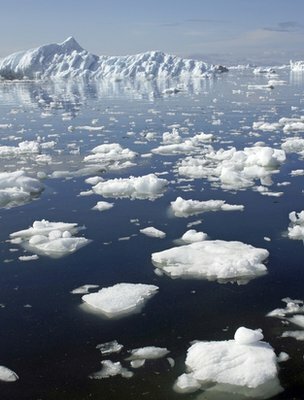 The news this week is that Arctic sea ice is at a record minimum extent. David Shukman, BBC science editor notes ‘This is a bigger, faster, more dramatic melt than anyone would have imagined possible even a few years ago’… ‘The models have underestimated the rapidity of the processes at work.’ The Economist has a special report on the Arctic which states ‘For those minded to ignore the risks, it is worth noting that even the more extreme predictions of Arctic warming have been outpaced by what is happening in reality.’ Meanwhile both the BBC and the Economist report on the global economy as if it could carry on exploiting hydrocarbons in the reckless pursuit of indiscriminate economic growth. Some of our more visionary climate scientists have long been calling for a radical change of direction. On 16th November 2007 I was at the ‘Be the Change’ conference at Westminster City Hall in London where David Wasdell gave a presentation ‘Planet Earth We Have a Problem: Feedback Dynamics and the Acceleration of Climate Change’. Although I had long identified myself as a radical environmentalist it was a life changing moment. I gave up my day job and threw myself full-time into writing a book, which remains unfinished and unpublished, but out of which has grown this blog, a number of reports, numerous talks and a course of evening classes, and most recently a number of practical projects, all focusing on what might be both ecological and economic best practice. For too long environmentalists have focused on a ‘Small is Beautiful’ approach. Humanity must radically shift its development paradigm if it is to survive, and to thrive, into the Twenty-second Century. The challenge is to demonstrate that it is possible to feed, clothe and house nine billion of us while moving rapidly back within the Planetary Boundaries: that will be the focus of several forthcoming blogs. This entry was posted in Economics, Environmental, Global on 21 September 2012 by Richard.